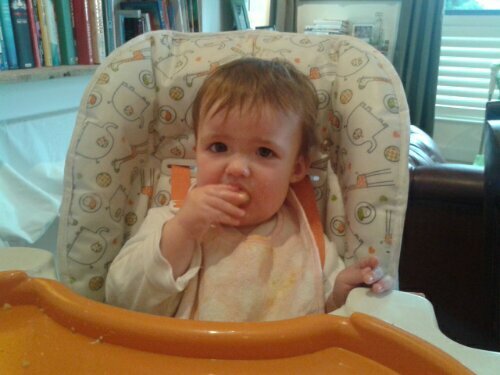 So we have given her apples before and she’s choked on the small chunks so I’ve held off giving her any for a while. However I found new inspiration reading Gina the other day and so I tried again today. 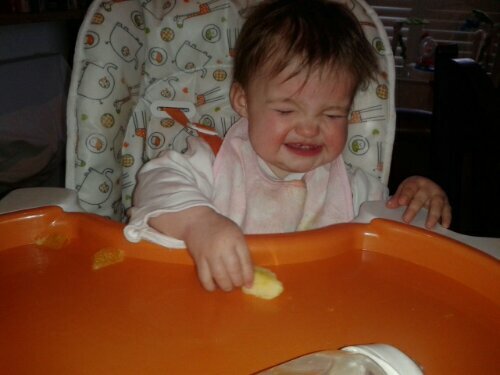 Half an apple without skin and she just carved off the bit that she wanted in chunks she could manage. This entry was posted in Uncategorized and tagged apples, carving, Eating. Bookmark the permalink.